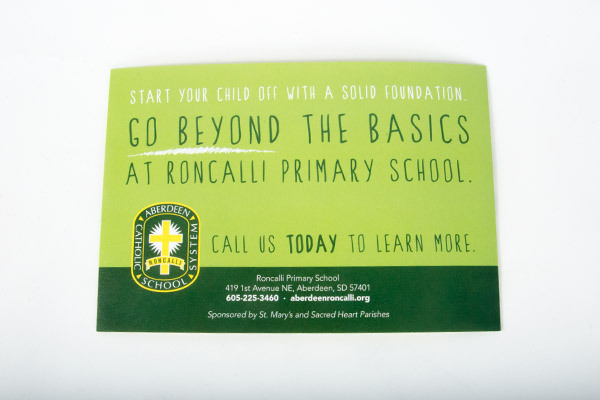 Roncalli – Brochures | McQuillen Creative Group, Inc.
Roncalli is a Catholic School in Aberdeen, South Dakota that has K-12. 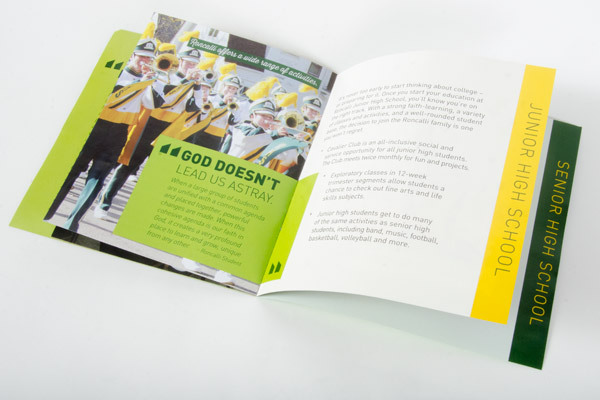 In an effort to increase enrollment, we created a series of brochures for the different grade levels that would be mailed out to prospective parents and students. 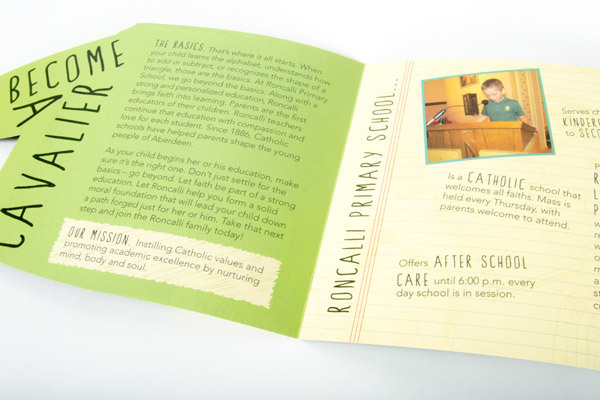 The goal was to make the brochures unique and memorable and not easy to overlook. 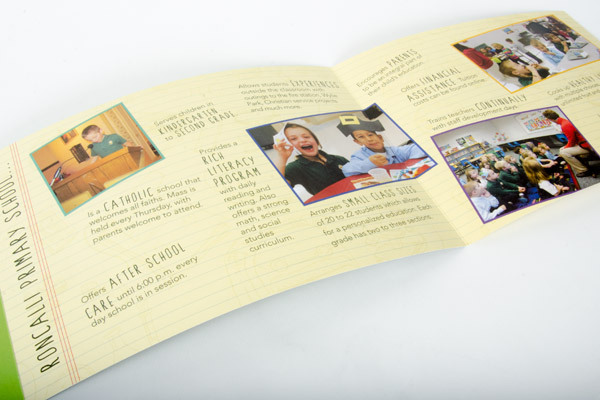 The first two brochures we designed were for the preschool and elementary schools. 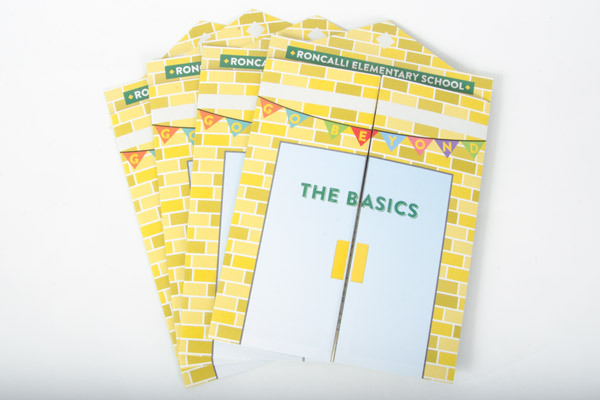 For the preschool one, we had an idea to do an alphabet folder on the back of the brochure so people would possibly hang it up on their fridge or room. 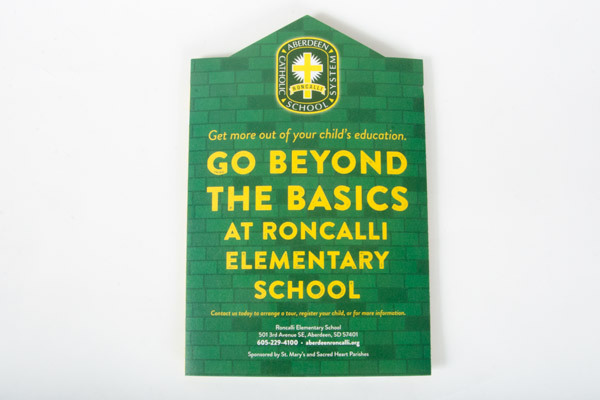 The other brochure we did as a t-shirt cutout representing the iconic Roncalli shirts all students wear. 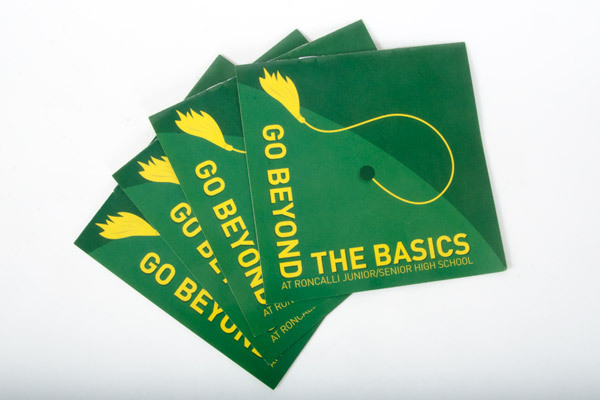 For the next set of brochures, the middle school was on deck. 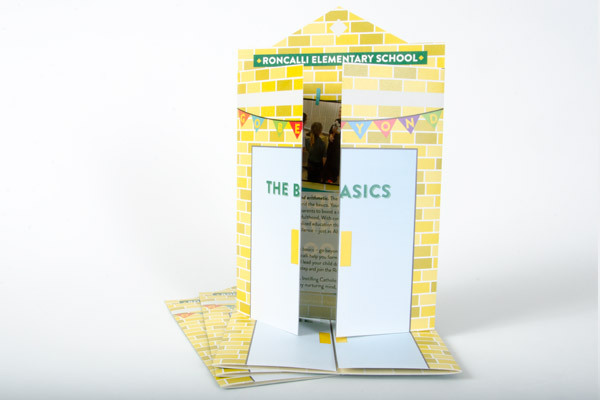 Thinking of their building and the doors the school could open, the brochure took an approach to convey that with illustrating the front of the building. 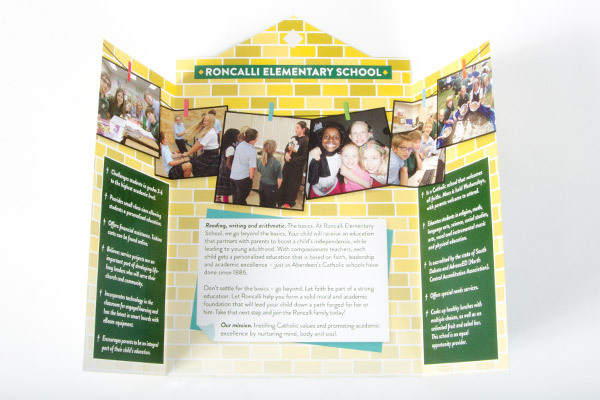 Once you open the doors, you can learn all about the school. 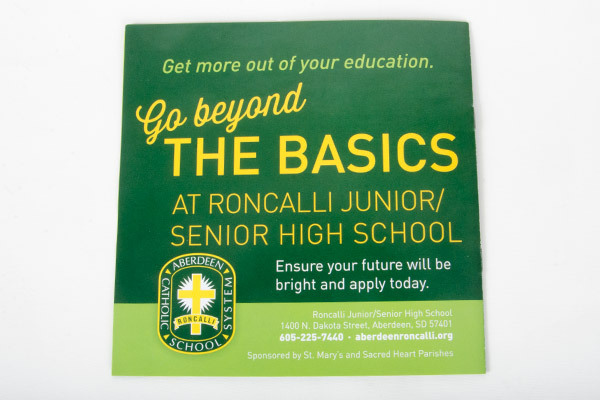 The high school brochure was more serious as we were trying to connect with students who are looking to get a great education to ready themselves for their next step of college. 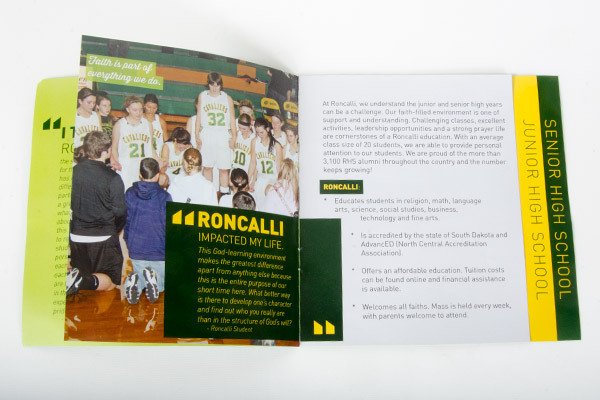 The information was broken into junior high school and high school.